WHAT ARE BLACK LOVE MOVIES? Black love is a whole movement. WHY IS “BLACK LOVE” IMPORTANT? There are many options for TV and movie entertainment, including a large selection of Black romance movies, series and documentaries. This includes old and new options, with a predominantly African-American cast. Monica and Quincy are two childhood friends who both aspire to be professional basketball players. Quincy, whose father, Zeke, plays for the Los Angeles Clippers, is a natural talent and a born leader. Monica is ferociously competitive but sometimes becomes overly emotional on the court. Over the years, the two begin to fall for each other, but their separate paths to basketball stardom threaten to pull them apart. Physical therapist Leslie Wright lands the dream job of working with basketball superstar Scott McKnight. All goes well until Leslie finds that she is falling in love with him. Scott, however, is oblivious to Leslie’s romantic overtures and focuses his attention on Morgan, Leslie’s gorgeous friend, who would love to be the basketball player’s trophy wife. Southern matriarch Madea has a lot on her plate. Her nieces have relationship troubles, and Madea has just been ordered by the court to become the guardian of a rebellious teenager named Nikki. Madea must keep the peace and keep her family together while simultaneously planning her clan’s reunion. In Philadelphia, a high-school basketball player, his sister and their older brother face life-changing decisions as they struggle to make something of themselves. Still grieving after the murder of her boyfriend, hairdresser Justice writes poetry to deal with the pain of her loss. Unable to get to Oakland to attend a convention because of her broken-down car, Justice gets a lift with her friend, Iesha and Iesha’s postal worker boyfriend, Chicago. Along for the ride is Chicago’s co-worker, Lucky to whom Justice grows close after some initial problems. But is she ready to open her heart again? Tre is sent to live with his father, Furious Styles, in tough South Central Los Angeles. Although his hard-nosed father instills proper values and respect in him, and his devout girlfriend Brandi teaches him about faith, Tre’s friends Doughboy and Ricky don’t have the same kind of support and are drawn into the neighborhood’s booming drug and gang culture, with increasingly tragic results. For one reason or another, friends Dominic, Jeremy, Michael and Zeke just can’t seem to seal the deal with the women in their lives. When their lovely ladies buy a book by comic Steve Harvey and start to apply its advice to their relationships, this band of brothers gets all shook up. Learning that they have been betrayed by one of their own, Dominic and his friends conspire to use the book’s teachings to turn the tables. Dating coach Alex “Hitch” Hitchens mentors a bumbling client, Albert, who hopes to win the heart of the glamorous Allegra Cole. While Albert makes progress, Hitchens faces his own romantic setbacks when proven techniques fail to work on Sara Melas, a tabloid reporter digging for dirt on Allegra Cole’s love life. When Sara discovers Hitchens’ connection to Albert — now Allegra’s boyfriend — it threatens to destroy both relationships. When Madea catches sixteen-year-old Jennifer and her two younger brothers looting her home, she decides to take matters into her own hands and delivers the young delinquents to the only relative they have: their aunt April. A heavy-drinking nightclub singer who lives off of Randy, her married boyfriend, April wants nothing to do with the kids. But her attitude begins to change when Sandino, a handsome Colombian immigrant looking for work, moves into April’s basement room. Making amends for his own troubled past, Sandino challenges April to open her heart. And April soon realizes she must make the biggest choice of her life: between her old ways with Randy and the new possibilities of family, faith … and even true love. 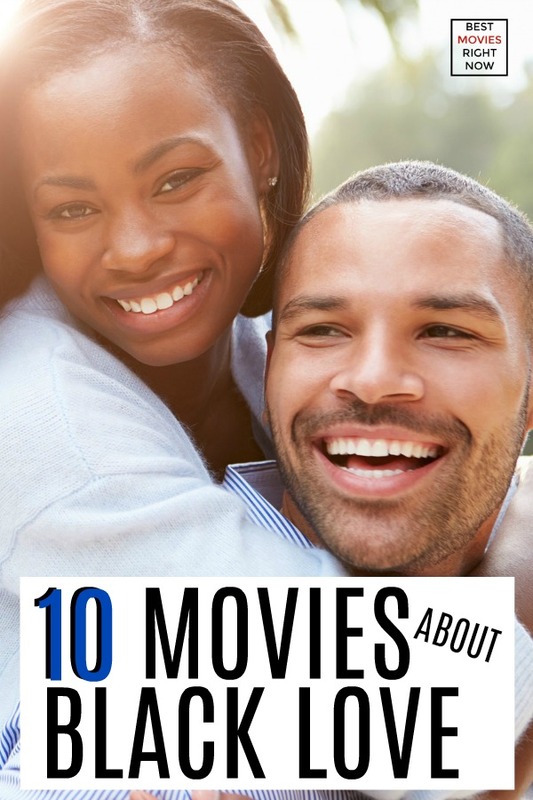 In addition to these black romance movies, check out these black love movies on Netflix, romantic comedies on Netflix and love movies on Netflix.